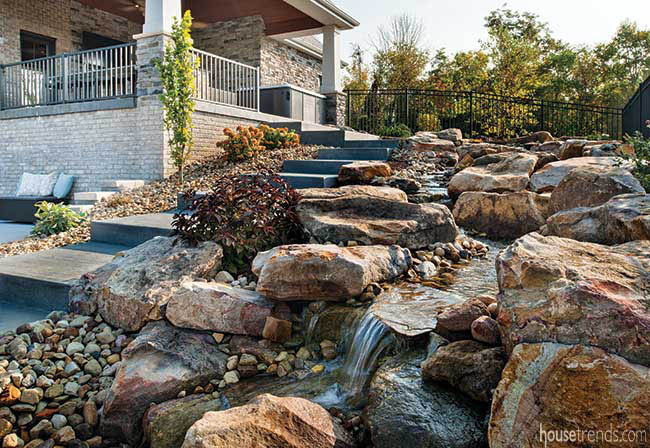 Off the stone staircase and waterfall sits a cozy lounge area with a beautiful fire pit. The fire pit has a gas starter – in case the logs are damp and difficult to light. But Gary doesn’t mind. He built this house, and outdoor living area, for his five children ranging in age from three to 16. 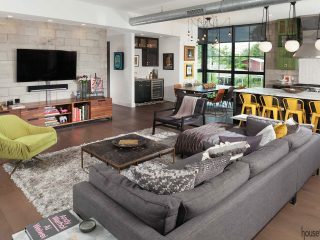 The space has elements that appeal to everyone. 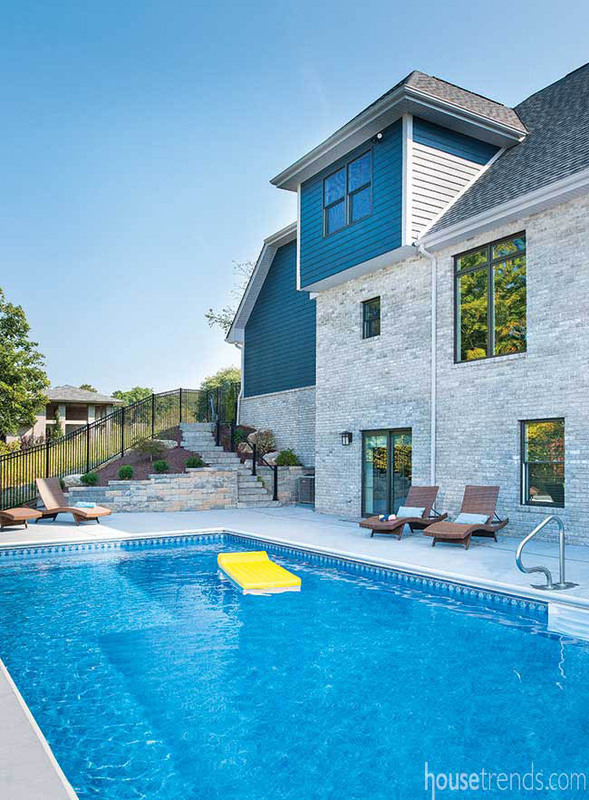 When Gary decided to build his custom, kid-friendly home, he knew exactly who to turn to … Pittsburgh’s premier home builder, who happens to be Gary’s childhood friend, Jeff Costa, operating manager of Costa Homebuilders. Gary explains that he grew up with Costa, and he trusted Costa completely to understand his vision and execute it flawlessly. Costa explains how Gary wanted to make this home accessible to all of his children. 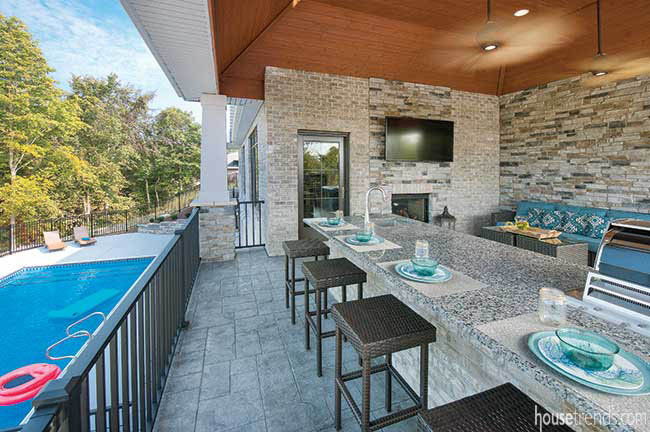 There is a fully operational home theatre in the lower level of the home that has direct access to the pool deck. This is a huge area where all the kids can hang out. 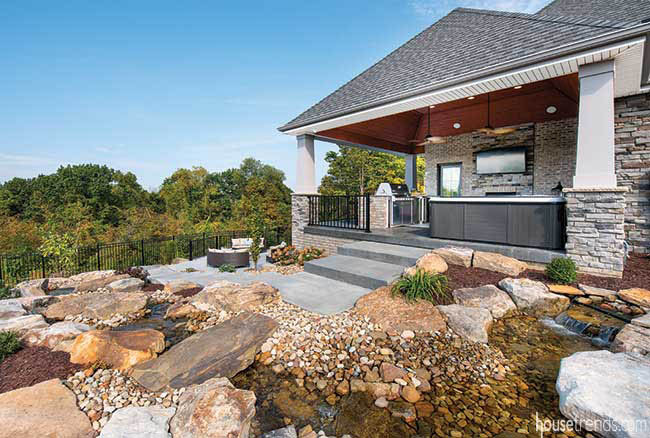 There is a fire pit where the whole family can enjoy roasting marshmallows and hot dogs, and then up a stone staircase and waterfall there is a covered living area complete with a wet bar, lounge seating, fireplace and hot tub. 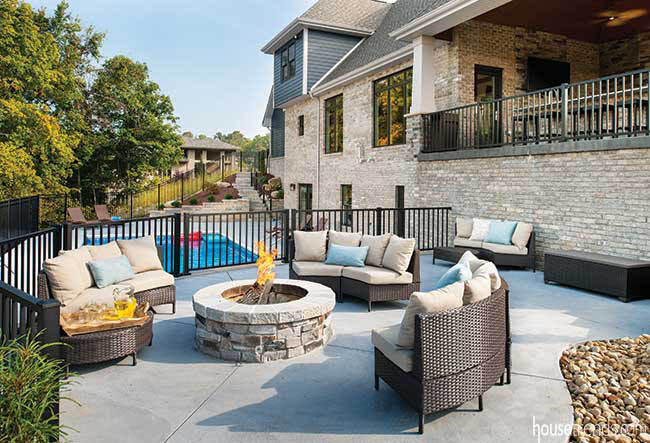 There truly is something for everyone to enjoy in this outdoor oasis. 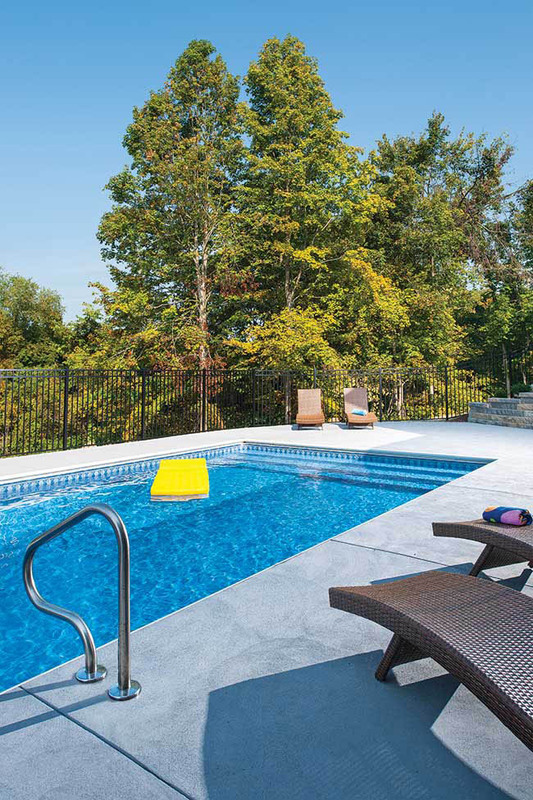 The lowest level of the outdoor space is the pool deck, which overlooks the treetops, giving it an almost infinity pool feeling when floating on a raft amongst nature. Costa explains that Gary has a smart home system, so everything can be controlled from a phone or a tablet. On their website, Control4 says their technology allows homeowners to dim lights, play music, control the thermostat and security system and lock the doors with the touch of one button. “The house has maybe too much technology,” Gary says with a laugh. “A lot of times I have to have my oldest son help me with the phone. The covered patio situated off the living room of the house is Gary’s favorite part of the space. 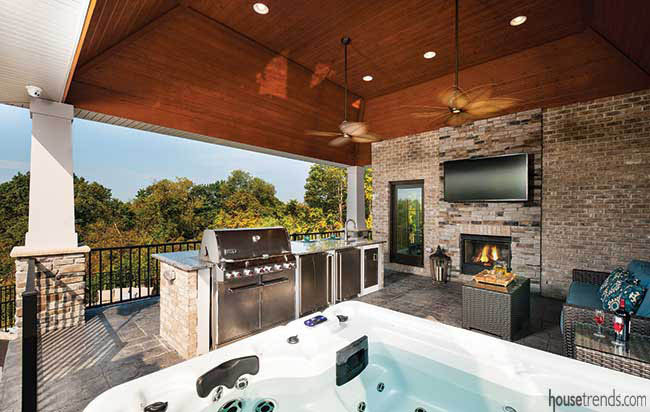 An all-weather TV is positioned over the fireplace, which is two-sided and shared with the living room inside. 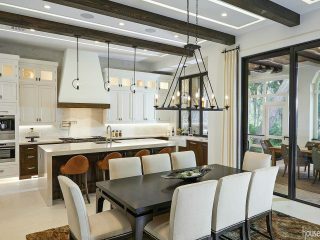 Gary could not be happier with the final outcome of his custom home building project, but he admits it gives him an appreciation for how hard custom home builders work. “It was a great experience, but it was like a full-time job for a year.